Awesome tool I started using last week: BannerSnack from Snacktools. Its not as fancy as Wix. Unlike Wix, it creates small files needed for banners, uses the clickTag attribute and most importantly it lets you download your creation free and clear – so you can use it without having to bleed money to them. I was trying to create some elements for a simple landing page and ended up creating the whole thing in flash with this. Then I proceeded to create a few banners… Put them online and blam-o… Instant magic. Anyway, for their unlimited $24 a month they also give you access to all the other “Snacktools” – I was really only wanting to sign up to BannerSnack, don’t see much use for the rest – they do make a nice bundle, though and it was a nice surprise to find out I got them for the price I was expecting to pay for just one. PodSnack – To create playlists – Heck you can even use this to add sound to landing pages since they have a really small player with different interfaces, many suitable for landing pages. TubeSnack – Lets you make playlists out of whatever YouTube Videos you fancy. QuizSnack – You can create surveys and polls and has a nice back-end for reporting. BannerSnack has all the super-cheesy effects you need for effective landers, and it lets you combine to your heart’s content. Check out their sample gallery. 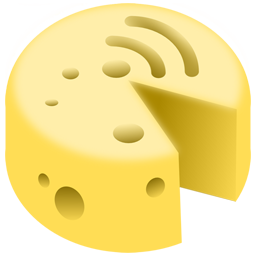 So I decided to try out their PodSnack too and fed it my favorite “Music for Marketing”. Whenever I’m having a hard time finding inspiration for marketing, I plug this playlist from my iPhone and it gets me into the mood for marketing in no time. Yeah, I’ve been on the hunt for something like this for a while – Someone mentioned it among tools they were looking into over at ppvplaybook.com – as they say, the rest is history. ← What About Guru Products?